Online editors (also known as online producers, web producers, or web editors) oversee the content on websites. An online editor functions, in some ways, as a magazine editor, blogger, and journalist rolled into one. Because an online editor oversees content on a website, he or she may also need to follow and understand web traffic patterns to glean what content draws more users to the site. Because web traffic can be tracked in ways that print publications cannot—publishers can track how many people receive a magazine or newspaper but not what articles are the most popular within the publication—online editors are often expected to create content with a deeper eye to how it’s being consumed. Online editors also need to have a deeper understanding of how a website works. Many websites often rely on user-friendly web tools that online editors use to enter content, but the extent to which an online editor needs to know other software programs—such as photo-cropping software or HTML—varies. To break into this field, you’ll need experience working online and creating online content. Employers also want to hire people who understand how users are reading online. In short, you need to demonstrate that you have written for the web and know how to do that, therefore, your writing samples and clips should be from websites, not print publications. Internships working for websites is also key. Additionally, experience with blogging, social media, and HTML will make you more attractive as a job candidate. Online editors need to be comfortable with both writing and technology. Because online editors are crafting stories—or editing the stories of other writers—they need strong writing and journalistic skills. But an online editor also needs to be interested in, and aware of, the technology that wraps around the story. Should a particular story include a video component? Where on the site should a story be placed? If the story doesn’t include video, should it include pictures? An online editor might have to answer all those questions and then be able to use whatever software or publishing tool is required to add the needed component, be it video, pictures, or something else. An online editor may also need to be comfortable with gathering and analyzing web data. 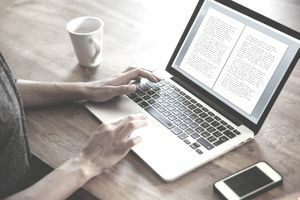 Unlike writers and editors who work in print, an online editor might need to track what kinds of stories generate more traffic to inform the creation of future stories. In other words, an online editor needs to be comfortable paying attention to traffic statistics and incorporating lessons learned from those statistics during the content creation process. The good thing about jobs in online editing and producing is that they are plentiful. Online content creation is one of the growing areas in the media world because so many companies—both traditional print publications and nontraditional ones—are eager to capture readers online. Because technology is always advancing, there is also a lot of experimentation happening in online publishing.